Item # 304625 Stash Points: 1,995 (?) This is the number of points you get in The Zumiez Stash for purchasing this item. Stash points are redeemable for exclusive rewards only available to Zumiez Stash members. To redeem your points check out the rewards catalog on thestash.zumiez.com. 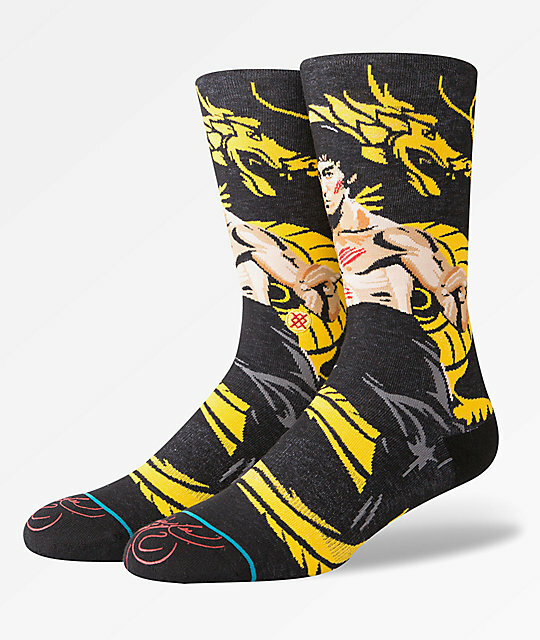 Celebrate the master of Kungfu with the Dragon Black Crew Socks from Stance. 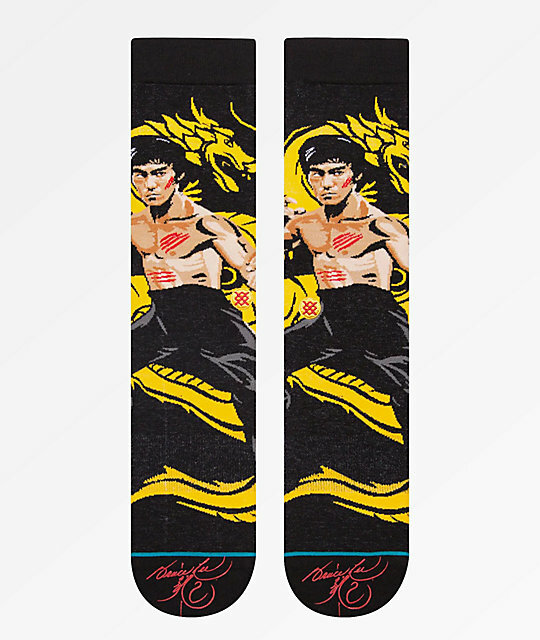 These tube socks come in a black and yellow colorway and are adorned with jacquard knit graphics of the one and only, Bruce Lee. 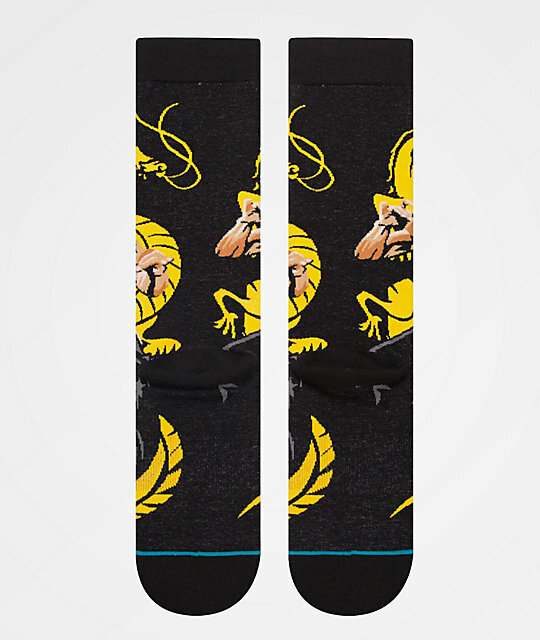 Dragon Black Crew Socks from Stance. Terry loop in forefoot, heel & toe for light cushioning.